Toby Martin – singer, songwriter and frontman of indie rock band, Youth Group – will perform a special concert inspired by the residents of Bankstown for one night only at Carriageworks on Saturday 29 April. He appears alongside a full band featuring local Western Sydney musicians of Vietnamese and Middle Eastern heritage, bringing to life his new album, Songs From Northam Avenue. 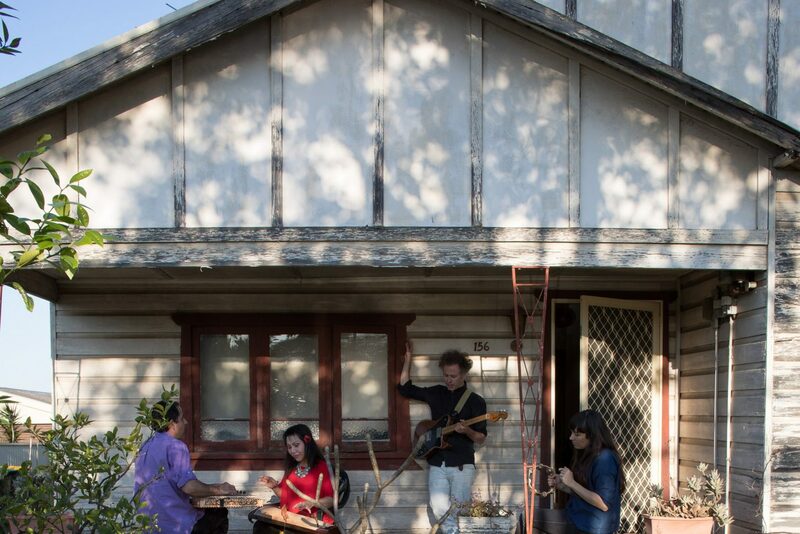 As part of an Urban Theatre Projects artist residency in 2013, Martin was invited to write songs on residents’ front verandahs and nature strips along Northam Avenue in Bankstown. A year later, he returned to finish a collection of songs inspired by the people he met, which he performed accompanied by band of local musicians as part of BANKSTOWN:LIVE for Sydney Festival. The resulting album, Songs From Northam Avenue, was released by Ivy League records in February 2017 to great critical acclaim. Martin says: “These songs came out of two residencies I undertook in Bankstown in 2013 and 2014 as part of Urban Theatre Projects’ Practice and Participate. For the first residency, I set up in the front yard of Ivan and Mitra’s beautiful old house on Northam Ave, across the road from David Cranston’s place. David was my ‘host’, and the cups of tea, the chats and the tour through the dusty archive of his garage helped me to feel grounded and encouraged songs to emerge. An Inner West local, Martin came to Bankstown as a relative outsider, although his father’s family lived there for a few years when they first migrated to Australia in 1948 after World War II. He relished the opportunity to collaborate with local residents, many of them first generation immigrants to Australia, who contributed musical influences from their native homelands. These musicians will join Martin on stage at Carriageworks, including Dang Lan (Đàn bầu, Đàn tranh, tea cup and coin percussion), a singer, teacher, dancer and musician who plays traditional and popular Vietnamese styles; Mohammed Lelo (qanun), one of Australia’s leading exponents of the qanun who has played in Arabic orchestras in his birthplace, Iraq and in Qatar; and Adnan Baraky (oud), a renowned composer and performer who relocated from Syria to Australia in 2008 (he replaces Alex Hadchiti who played oud on the album). Other collaborators joining Martin on the night include Bree Van Reyk (drums, arrangements), a composer, percussionist, producer and member of Synergy and Ensemble Offspring, who is regularly commissioned by the likes of Sydney Festival and MOFO; Zoe Hauptmann (electric bass and double bass) who has worked with artists such as Missy Higgins, Paul Kelly and Neil Finn; and Cameron Emerson-Elliott (guitar and keyboard) Martin’s bandmate in Youth Group, and member of ‘skewed pop’ ensemble Community Radio. Photography by Lyndal Irons and footage filmed by John Meredith in Bankstown, including interviews with the performers, will screen as part of the concert. This announcement forms part of Carriageworks’ rich 2017 Artistic Program, which represents the most ambitious program to date for Australia’s leading contemporary multi-arts precinct. Carriageworks has undergone unparalleled growth over the past five years, welcoming more than 1 million visitors in 2016. The 2017 Artistic Program brings together a risk-taking, culturally diverse line-up of more than 53 projects, spanning visual arts, dance, performance, film, talks and music which will support over 80 artists.